Tropical/Jungle beaches hoặc Temperate/Foresty beaches? Have bạn ever went to Los Cabos? Do bạn like Maldives beaches? 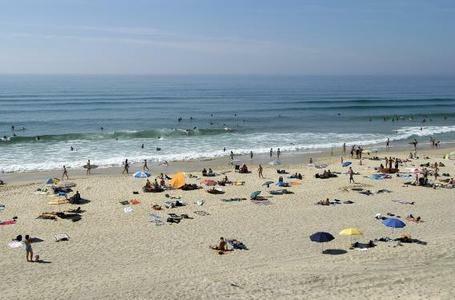 If bạn live on Long Island New York, Wheres your nearest beach? I am a huge người hâm mộ of beaches so I decided to compile a danh sách of what I think are the prettiest beaches in the world and why I'd like to visit them. Here's some fun things that bạn could to do at the beach. 1.Have a bờ biển, bãi biển party with your Những người bạn and family! These are some fun things that bạn could do at the beach. And if bạn like just one out of these eight please bình luận about which one is your favorite. A 10-year-old girl has suffered burns over 70% of her body after spending 16 phút on an unsupervised sun bed. "The doctors told me if she had stayed on the giường two phút longer, she may have needed skin grafts," her mother Sharon Hannaford, of Port Talbot, said. A spokesperson for the Electrik Avenue tanning centre đã đưa ý kiến they were due to meet council health officials. hàng đầu, đầu trang Exotic Beaches bạn should visit before bạn die. Well, here is a danh sách of hàng đầu, đầu trang beaches i found extremely exotic and unusual seperating them from rest of the beaches around the world. Arguably, these are the best beaches, just plan your trip and share your experiences with us bởi commenting below. Snorkeling, caves, grotto’s and beautiful sandy beaches are what bạn can expect at The Baths in BVI. The giant boulders have created a type of maze to walk through. Cruising is redefined in Tahitian waters where bạn embark on a voyage to explore these romantic and unspoiled isles of the South Pacific. The bungalows are arranged in three separate villages and oriented to các lượt xem and sunlight with privacy as a key consideration. Each village is near the beach, swimming areas and communal pavilion. There are six Overwater End of cầu nổi, phao Bungalows located at the end of the connecting teak walkways offering unobstructed các lượt xem of Mt. Otemanu and the alluring blue lagoon. The best warm-weather bờ biển, bãi biển vacations for the winter. Beautiful bờ biển, bãi biển sceneries from Philippine islands most beautiful beaches. Free wallpapers. a poll đã được thêm vào: Atiu hoặc Castaway Island? a poll đã được thêm vào: Aitutaki hoặc Rarotonga? a poll đã được thêm vào: Tropical/Jungle beaches hoặc Temperate/Foresty beaches?